A growing body of literature has elucidated the involvement of the central renin–angiotensin system (RAS) in various neuropsychiatric diseases. While consensus on the exact mechanism of the central RAS in schizophrenia pathophysiology does not currently exist, increasing evidence reveals promise in harnessing the therapeutic potential of RAS modulation in the treatment of schizophrenia. In this review, we examine how the central RAS affects inflammation, glutamate, dopamine, gamma-aminobutyric acid (GABA), and peroxisome proliferator-activated receptor (PPAR)-γ, all of which are associated with schizophrenia etiology. In addition, a recent study has demonstrated the therapeutic potential of RAS modulators, especially angiotensin II type 1 receptor blockers (ARBs), as adjunctive therapy to the currently available antipsychotic medications for schizophrenia treatment. 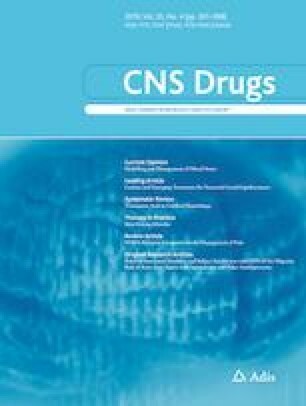 With a greater understanding of how RAS inhibition directly modulates neurotransmitter balance in the brain, it is possible that compounds with RAS-inhibiting properties could be used to optimize physiological levels of glutamate, dopamine, and GABA, and the balance among the three neurotransmitters, analogously to how antipsychotic medications mediate the dopaminergic pathways. It can be hoped that a novel approach based on this concept, such as adjunctive telmisartan therapy, may offer practical interventional strategies to address currently unmet therapeutic needs in patients with schizophrenia, especially those with treatment-resistant schizophrenia. No sources of funding were used to conduct this review or prepare this manuscript. XF has received research support or honoraria from Alkermes, Neurocrine, Avanir, Allergen, Otsuka, Lundbeck, Boehringer Ingelheim, and Janssen. SJO reports no competing interests.